$0.99 (regularly $3.99) 11/8/2016 - 11/15/2016! Secrets, scandals, lies, and forbidden love lead a headstrong young woman down a path to danger and self-discovery. Can Anne make peace with the past...or is she destined to follow her family's legacy by bringing about her own undoing? 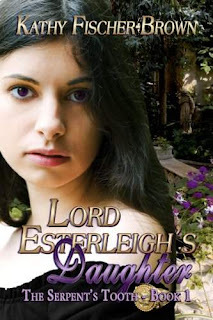 Not your typical "rags to riches" tale, Lord Esterleigh's Daughter has as its setting the privileged country life and posh salons of eighteenth century England.